Dr. Maria Montessori established that sensorial experiences begin right when a child is born. Children use their senses in order to study their environment. By participating in sensory activities, children can consciously obtain clear information that helps them classify their surroundings. These classifications serve as stepping stones to organized intelligence, which gives children the ability to adapt to their environment. 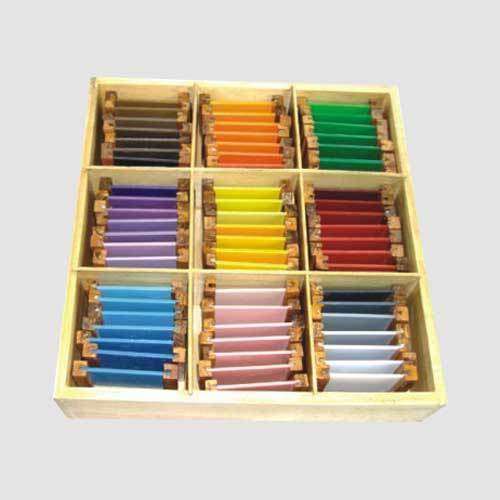 Montessori sensorial materials are materials used in the Montessori classroom to help a child develop and refine his or her five senses. Use of these materials constitutes the next level of difficulty after those of practical life. 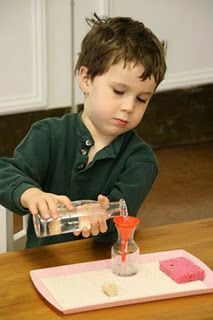 Like many other materials in the Montessori classroom, sensorial materials have what is called “control of error”, meaning that the child not only works with the material, but has a way to check their work rather than seeking out the teacher if they have a question on whether or not they did it right. 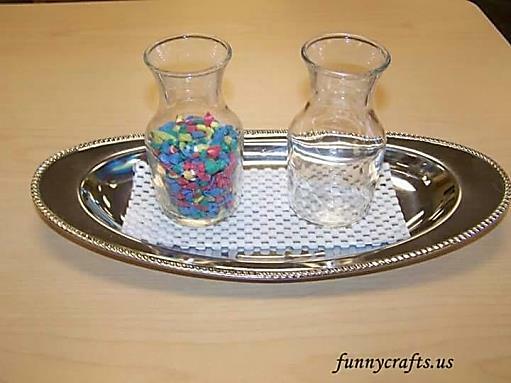 This is done to help promote independence and problem solving on the part of the child. Why Sensorial Work is Important? 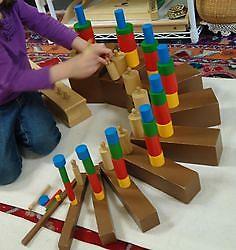 Sensorial activities are used in Montessori learning to help children in discrimination and order. 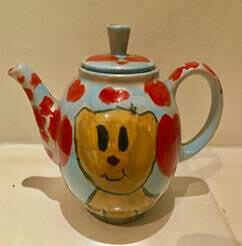 They also help broaden and refine a child’s senses. 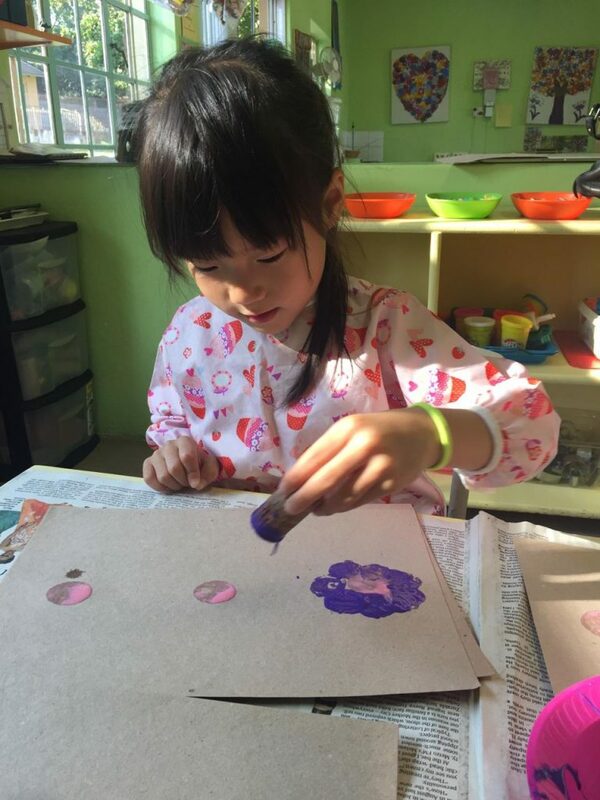 When a child combines Montessori designed materials with sensorial work, it helps them become more logical, perceptive, and aware. 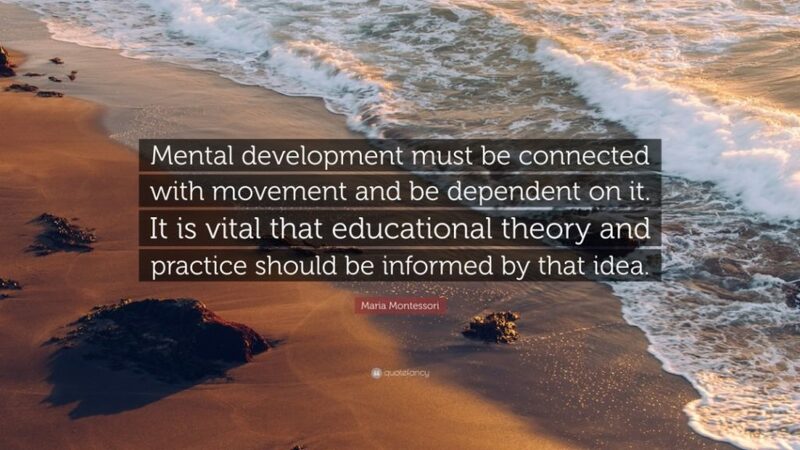 Dr. Montessori developed the concept of sensorial work long before sensory play was put into practice. In Montessori philosophy, the child is considered the “sensorial explorer” and learns to perceive qualities through sensorial experiences. 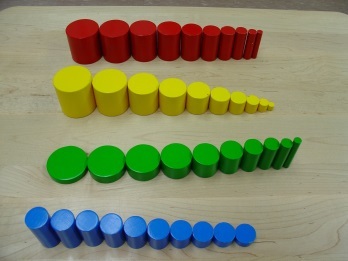 Many Montessori materials, for example the Pink Tower is designed to assist in visual discrimination by allowing a child to recognize differences in dimension, length, width, and size. 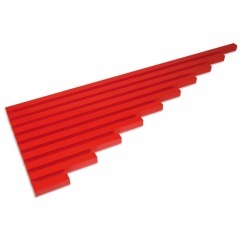 Montessori activities such as the Brown Stair, Red Rods, Knobbed Cylinders, and Colour Tablets can also enhance the visual sense. Educators, Child Development Specialists, Physiologists, Neurologists and Paediatricians have proven that sensorimotor training can assist young children to a achieve more significantly in academic situations. Our Sensorimotor programme incorporated in our preschool programme is based upon observations made by Heron, Piaget, Montessori, Getman, Gesell and others. 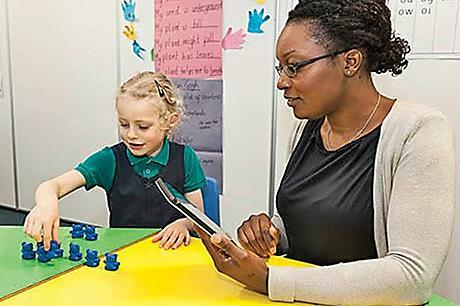 Statements about their findings would serve to point that Sensorimotor skills is essential to young children’s understanding of and adjustments to the world of persons, things and ideas. A promising feature of our Sensorimotor programme is the effect upon the child’s feeling about himself, whereby he is able to help build his self image. 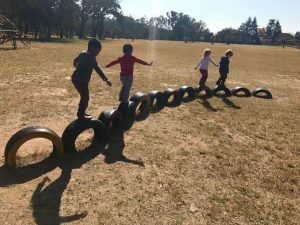 Our Sensorimotor curriculum is designed to appeal to the child’s natural instinct for play, giving the child to succeed in an familiar environment . Doing and thinking for young children will contribute to lowered self esteem and undermine their self-confidence. You will create opportunities for your child to develop a lot of self-doubt by sending messages showing that you do not think that they can do things correctly, or that they should not try because you beloved it is too difficult for them. Do not ignore the pleas of the young child “I can do it by myself”. 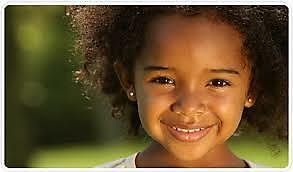 Children with high self esteem are those who are given the opportunity to be decision makers right from the very beginning of their lives. Children need to take on responsibilities, rather than their parents doing things for them. They learn confidence by doing, not by watching someone else do it for them. They need to feel important, to take risks, to try new adventures and to know that you trust them, not so much to do something without error as to simply go out and give it an effort. Children who learn early to be decision makers – to pick up their own clothes, to decide what to eat, to play with whom ever they choose, to be responsible without endangering themselves or others, learn very early to like themselves and feel positive about who they are. They begin very early to trust themselves with the daily age appropriate tasks that make them feel proud and worthwhile. 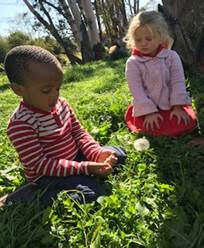 Julia Gorham an Educational specialist with over 27 years of experience, offers a Children’s Home Learning Montessori Workshop for children ages (18 months to 5 yrs.) for Caregivers, Au Pairs and Students! Go here for the form. Cost: R 800.00 for a 3 hour workshop. Location : Field and Study Park. 45 Louise Ave, Parkmore Sandton. Fields Montessori Pre-School. Additional Home Programmes/Parenting manuals for sale. Additional workshops to make your own learning materials. Curriculum and course materials provided. Why Sensory play is important? Booking forms will be emailed to you. 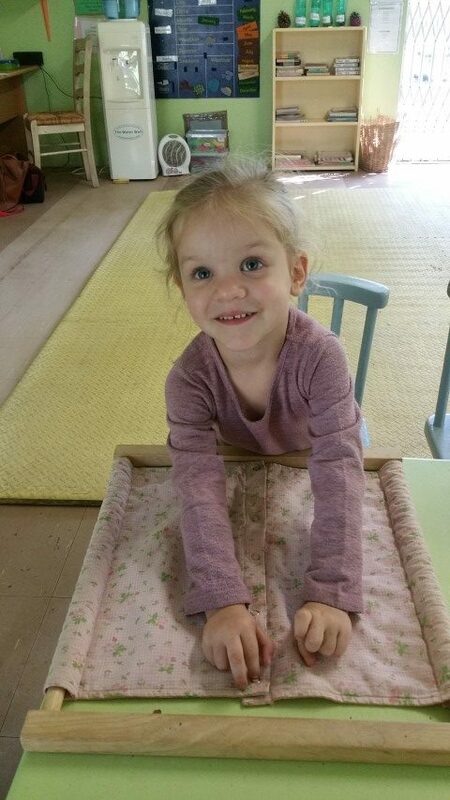 The Montessori dressing frames are an important part of the care of the self Practical Life Exercises in our classroom. Each frame isolates one skill of dressing and offers the child the opportunity to perfect this skill by repeating the motion over and over, thus helping her to become independent in dressing him/her self. Being able to dress and undress oneself is one of the major steps to a child’s sense of ndependence. 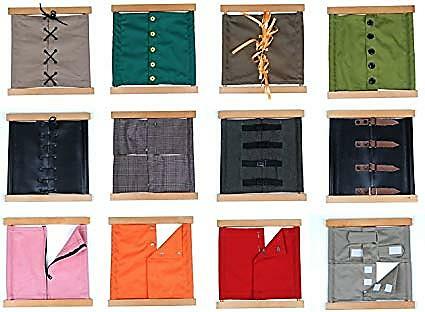 To help children learn how to dress and undress themselves, we provide dressing frames in our classroom on which all the different kinds of clothes fasteners can be found. It is very difficult for children to practise for example; buttoning their coat buttons when they are wearing a coat, but if you have a frame with the buttons on the table, your children can see the buttonholes. Childrn are able to practise on the Montessori frames and when they learn to do them on the frame, it is not so difficult them to do their buttons on therr own. Children enjoy doing things on their own which gives them makes them proud. Nature based schools are gaining great interest with modern, working parents. This trend has grown over 800 percent since 2012. 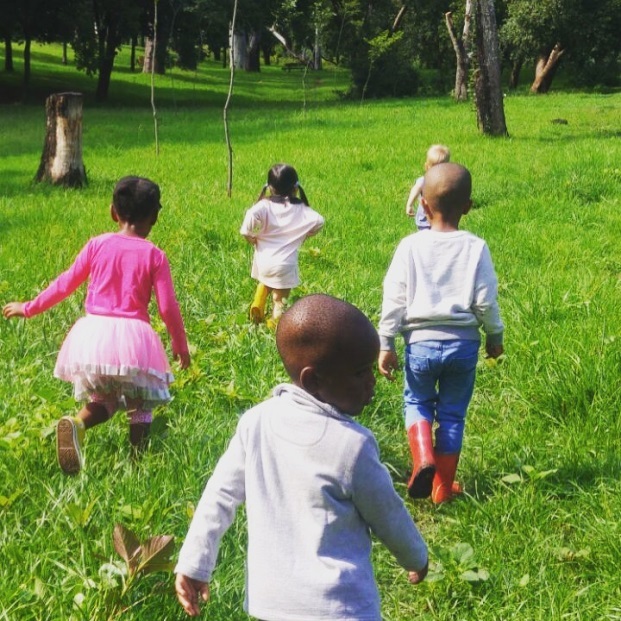 Nature based preschools with daily exposure to nature has proven to be a vital element in early education for young children. Our Montessori preschool positioned in a beautiful, tranquil, country setting, with weekly nature walks, brings our children much joy! Guess what? Last week we noticed two white eyed owls in the school parking lot! Why Do Children Need to Spend Time in Nature? They may prefer to stick to their screens, but here’s why getting outdoors matters. In the early 1980s, a Harvard University biologist named Edward O. Wilson proposed a theory called biophilia: that humans are instinctively drawn towards their natural surroundings. Many 21st century parents, however, would question this theory, as they watch their kids express a clear preference for sitting on a couch in front of a screen over playing outside. The national panic about kids spending too much time indoors has become so extreme that the crisis has a name: Nature deficit disorder. While calling it a disorder might be merely rhetorical, it’s clear kids spend significantly more time inside than outside. This shift is largely due to technology: The average American child is said to spend 4 to 7 minutes a day in unstructured play outdoors, and over 7 hours a day in front of a screen. Increasing parental fears about diseases and dangers of playing outside—despite evidence to the contrary—are another big factor. And as suburbs and exurbs continue to expand, nature is parcelled off more, and kids seem less inclined to spend time in a fenced-in yard, let alone jump the fence into a neighbour’s or walk in the woods. Instead, indoor activities can seem easier (no sunscreen necessary! 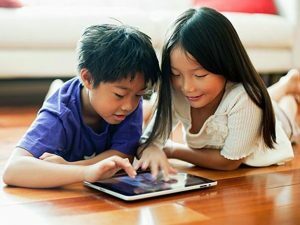 ), safer, and even more sociable for kids who are growing up with multiplayer video games and social media accounts. Recent studies have exposed the benefit—even necessity—of spending time outdoors, both for kids and adults. Some argue that it can be any outdoor environment. Some claim it has to be a “green” environment—one with trees and leaves. Others still have shown that just a picture of greenery can benefit mental health. These nuances aside, most of the studies agree that kids who play outside are smarter, happier, more attentive, and less anxious than kids who spend more time indoors. While it’s unclear how exactly the cognitive functioning and mood improvements occur, there are a few things we do know about why nature is good for kids’ minds. It builds confidence. 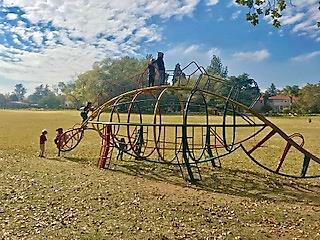 The way that kids play in nature has a lot less structure than most types of indoor play. There are infinite ways to interact with outdoor environments, from the backyard to the park to the local hiking trail or lake, and letting your child choose how he treats nature means he has the power to control his own actions. 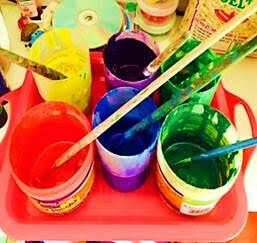 It promotes creativity and imagination. This unstructured style of play also allows kids to interact meaningfully with their surroundings. 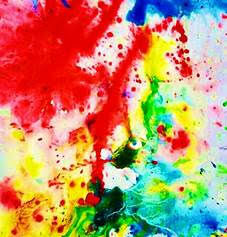 They can think more freely, design their own activities, and approach the world in inventive ways. It teaches responsibility. Living things die if mistreated or not taken care of properly, and entrusting a child to take care of the living parts of their environment means they’ll learn what happens when they forget to water a plant, or pull a flower out by its roots. It gets kids moving. Most ways of interacting with nature involve more exercise than sitting on the couch. Your kid doesn’t have to be joining the local soccer team or riding a bike through the park—even a walk will get her blood pumping. Not only is exercise good for kids’ bodies, but it seems to make them more focused, which is especially beneficial for kids with ADHD. It makes them think. Louv says that nature creates a unique sense of wonder for kids that no other environment can provide. The phenomena that occur naturally in backyards and parks everyday make kids ask questions about the earth and the life that it supports. It reduces stress and fatigue. According to the Attention Restoration Theory, urban environments require what’s called directed attention, which forces us to ignore distractions and exhausts our brains. In natural environments, we practice an effortless type of attention known as soft fascination that creates feelings of pleasure, not fatigue. So while screen time is the easier, more popular choice, it’s important to set aside time for outdoor play. 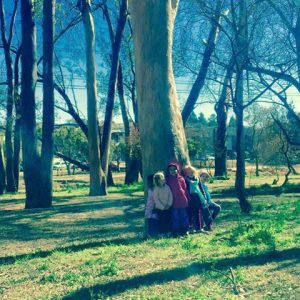 For fun, stimulating activities you and your kids can do in nature, see Ideas for Getting Your Kids into Nature. The pictures in this post are in our school surroundings at Fields Montessori. 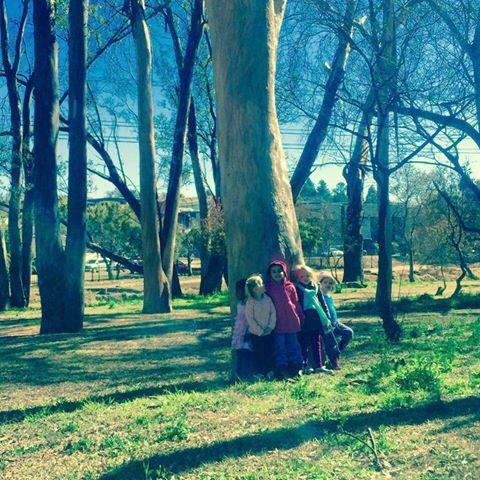 Find out more about this school in Parkmore, Sandton, Johannesburg on the website. Hands on play, including outside play is the most important ingredient for children to learn. I am a strong believer of limiting your child to television viewing, iPads, smart screens, etc. however, during along journey or in between busy time schedules, I recommend the following apps for your children which are educational, interactive and great fun! A thoughtfully written narrative report is the best way to successfully convey the depth of knowledge you have about the children in your precious care. Your role as an educator is important! At our school, we celebrate each child’s uniqueness and celebrate their special qualities that makes them extra special! We will add “what they say,” “what they love,” “what they do,” “what they say,” “how they interact with others,” “their favourite activities,” “songs,” “reading books,” “food”, “how they contribute to the classroom dynamics” etc. Here are a few helpful tips for teachers to write children’s progress reports. Building a strong connection with your parents is an essential ingredient of running a happy, successful School. Parents are eager to know what their children are doing when they are away from them. A checklist will never fully serve this need. Neither will a few short comments. A thoughtfully written narrative is the best way to adequately convey the depth of knowledge you have about the child. If you do use a checklist, make sure it is a minor part of the complete progress report package. To most parents, terms such as “broad stair”,” geometric solids” , “ binomial cube” are a mystery. Any list of materials should always indicate where a parent can get more information about the material and how it fits into the overall sequence. Children are holistic beings and a Montessori environment caters to the whole child. In addition to the academics, be sure to include information about social development, motor development, concentration, independence, work habits, you get the idea! Stephen Covey, in his book “The 7 Habits of Highly Effective People”, explained the concept of an emotional bank account. Every positive interaction you have with a person makes “deposits” into that person’s emotional bank account. Every negative interaction makes a withdrawal from that account. The more deposits you make before you attempt to make a withdrawal, the stronger the account and the relationship. It is, however, not quite as simple as that. Unfortunately, even mild negative interactions can pack quite a punch and quickly deplete the emotional bank account you have been building up. When writing progress reports, aim to provide 5-8 positive comments about the child for every single potentially negative comment you make. Accurate, detailed descriptions of a child’s behaviour can be very effective in conveying the essence of a challenging issue. Labelling a child is not your job and can often create distance between you and the parent at a time when you most need to be working together. Don’t leave parents hanging if you bring up a challenge their child is facing! It is very reassuring to parents when you follow up with a description of the strategies you have been using to address the issue, and the degree of success you have had with them. Whether or not the strategies have been effective, it demonstrates clearly to the parents that you are in control of the situation and that you are not about to abandon their child. When you simply list a child’s challenges you may be perceived as a complainer but when you describe what you are doing to help, you become an ally in the parents’ quest for doing the best for their child. This also opens up a dialogue with the parents who will often start thinking of alternate strategies they have been using at home in similar situations. Of course, detailed information of this type will be of immeasurable help if the parents decide to pursue any external support services as well. Don’t underestimate the value of the “warm and fuzzies” in your Montessori progress report. Parents want to know that you love their child and are as moved by his special ways as they are. Make it a point to note down one or two specific incidents that highlight the unique way the child would react to a situation. Don’t be afraid of writing down jokes the child has made up, something special he wrote for picture-story, kind words he said to a child who accidentally pushed him, or the day he spent 20 minutes staring out the window in awe at a bird building it’s nest. Always check back to previous reports and the challenges the child had been facing. Make sure you celebrate the progress that has been made since then. Sometimes children grow so much over the course of a summer or semester that we forget that what seems so easy for them now was causing us concern before. This is particularly important for a child who has many issues. Reassure yourself and the parent that the child is indeed making progress! That would be the biggest progress report faux pas of all! There should be no unpleasant surprises in a written Montessori progress report. (Pleasant surprises are always welcome) Make sure you have a face-to- face meeting to discuss troubling issues prior to writing the report. Use your body language and tone of voice to be as reassuring as possible. In your report you can refer to the meeting and strategies discussed. We tend to remember the things we encounter first and last in a sequence of items. Even if you have a lot of troubling issues to tackle in the report, you can still start and end on a positive note. Remember, you are providing a view of the whole child; this is not the time to emphasize one particular challenge- that is best done face to face. Use this opportunity to convey a well rounded portrait of the child. Did you know that about 10 percent of the population prefer their left hands? And that genetics plays a large role? Did you know that left-handed children are generally right-brain dominant, they are often more creative, emotional and think holistically? Scientist Clyde Francks, isolated a gene called LRRTM1 that contributes to left-handedness. This means that it can be inherited and is predominantly from the father’s side. You can discover which hand your child favours from a very young age (7 to 9 months old), however, it is only definite between the age of 3 and 6 years. Take note of which hand they repeatedly choose to reach for a toy or when touching something, and remember that when very young most babies are ambidextrous. The corpus callosum (the part of the brain that allows communication between the two halves of the brain) is up to 11% larger in left-handed people. Left-handed men who graduate from university earn 26% more than their right-handed peers. In fact, some of the world’s wealthiest people are left-handed (e.g. Bill Gates and Oprah Winfrey). There is a high tendency in twins for one to be left-handed. 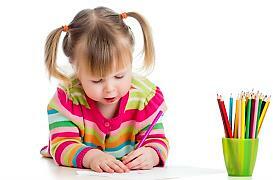 Left-handers reach puberty on average 4 to 5 months after right-handers. 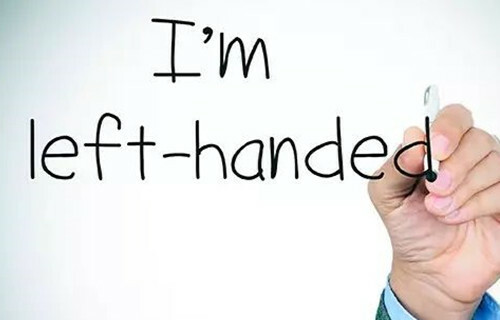 New research suggests that left-handed people often perform better than right-handers at fast or difficult tasks that involve lots of information or stimuli. Lefties may be better at playing fast computer games, talking while driving in heavy traffic and flying a jet aeroplane – activities that need both hemispheres of the brain to process information quickly. Lefties often favour their left eyes as well, when using cameras, telescopes and microscopes. 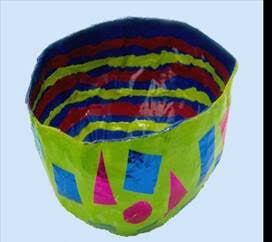 Let your child enjoy his/her creative freedom to develop their strong artistic side. Encourage your child to participate in sport, as this is where lefties often excel. This may be because the right side of the brain controls spatial awareness, which is directly linked to the dominant left hand. This gives lefties an advantage when thinking in three dimensions. Remember that there are considerations you need to keep in mind – such as supplying left-handed scissors, smudge-free pencils, making the computer’s mouse left-friendly, giving them a left-handed desk, etc. Encourage creativity and right-brain thinking. For example: Have your child write their name as usual and then ask them to do it in mirror writing (right to left, rather than left to right). Repeat it upside down. There are dozens of other activities you can find to stimulate their natural right-brain tendencies. 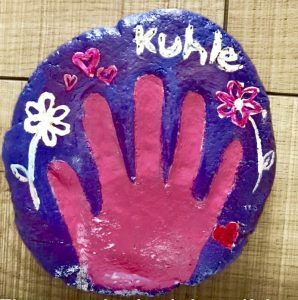 Learn left-handed writing techniques that will help your child with aching wrists, smudged work, bad posture and slow writing. There are subtle, yet vital differences in posture, grip and letter formation that not all teachers are aware of. Teaching your left-handed child how to do a task such as tying a shoelace may prove difficult. In order to have the child see the hand movements in the proper direction, sit opposite your child rather than next to or behind them. Be your child’s mirror. Don’t ever try to force your child to write with their right hand. Allow them to follow their natural preference because this is where their strengths lie. What a fun activity to do at home with your child. 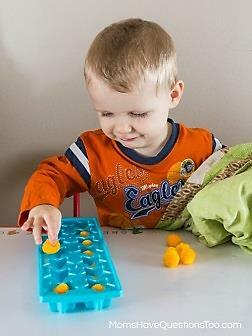 This game gives your child experience in dividing objects into sets which a good experience for mathematics. Show your child how to feel the buttons and sort them by size and colour into the different bowls and dishes until they have been used up.